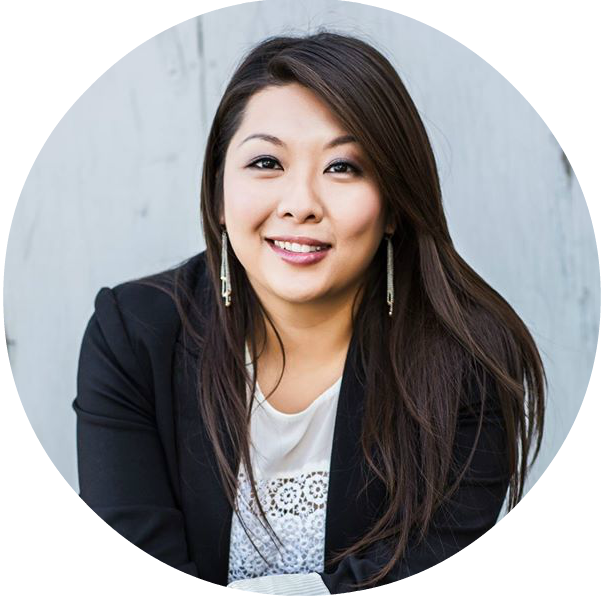 You can contact Amanda Ku at 1-800-355-7038 or through email at: info@poseandpucker.com. 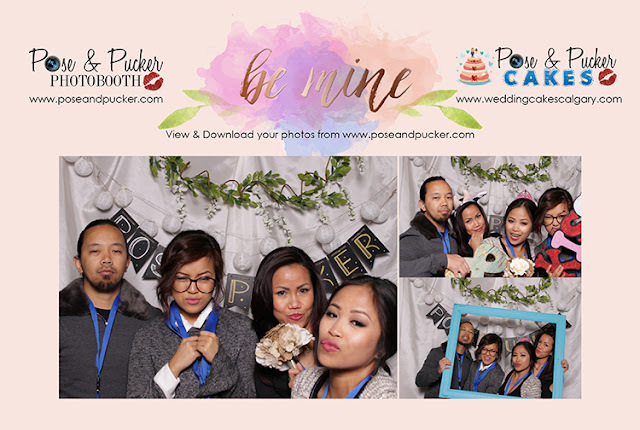 My name is Amanda and I am owner of Pose & Pucker Photobooth. We are an open concept mobile photobooth rental company based in Calgary, and provide service to the city and surrounding communities up to the distance of Invermere, BC. 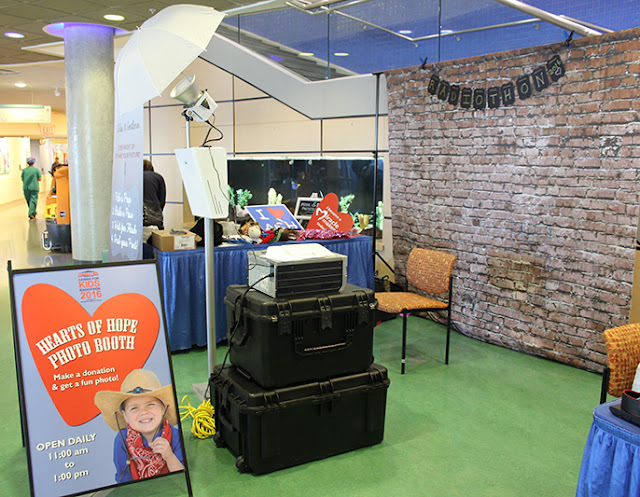 Currently, we have about 7 dedicated employees/partners, two photobooth machines and several other photobooth contractors (within and out of the city) that we work with. We provide unlimited photos, and we focus on customization including custom props, custom backdrops, and custom print layout designs! We mostly cater to weddings, but our biggest parties also include: birthday parties, corporate functions, charity initiatives, holiday parties, and stampede parties too! I started Pose & Pucker Photobooth in late 2013. I went to a few weddings and had so much fun at the Photobooth, when I researched about the cost, it wasn’t too much to start up, so I decided to jump two feet forward with the business. My inspiration was my best friend, she had her own business and was focused on growing it, a lot of other friends were in the wedding and entertainment business, so I decided to find something that is fun and entertaining and will allow me to attend the best parties in the city with friends. My business is different from others because I provide the ultimate customer service. Unlike many of the photobooth companies out there in Calgary, I provide custom designs (I find that many companies copy templates from other people or don’t provide much customization). I also have created a new line of custom props. I will be rolling out unique theme coloured moustaches and unique props that are made out of durable plastic and can be custom designed. 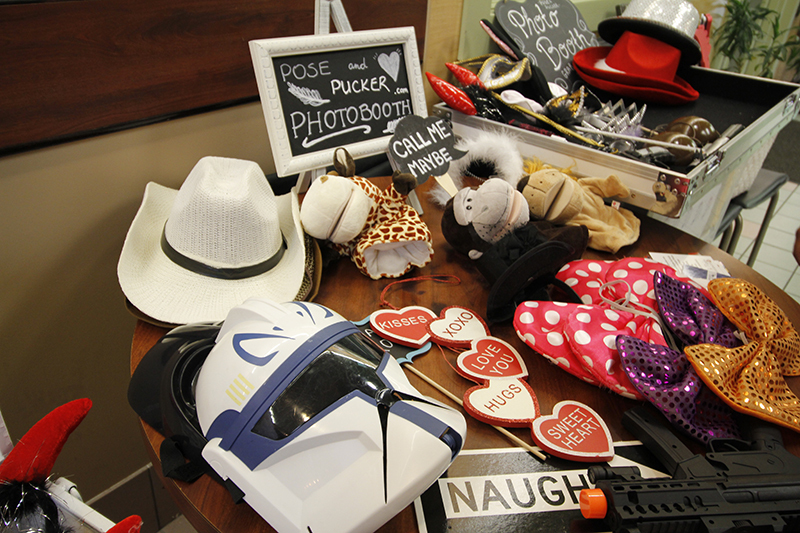 And lastly, we have added valuable vendors that are part of the team including a web designer, a photographer, and a wedding cake baker. 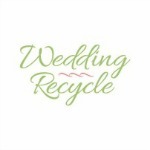 We love to network and add more vendors to showcase on our blog as well! The best part of my job is attending these wonderful celebrations and being able to provide a keepsake for the hosts as well as their guests. 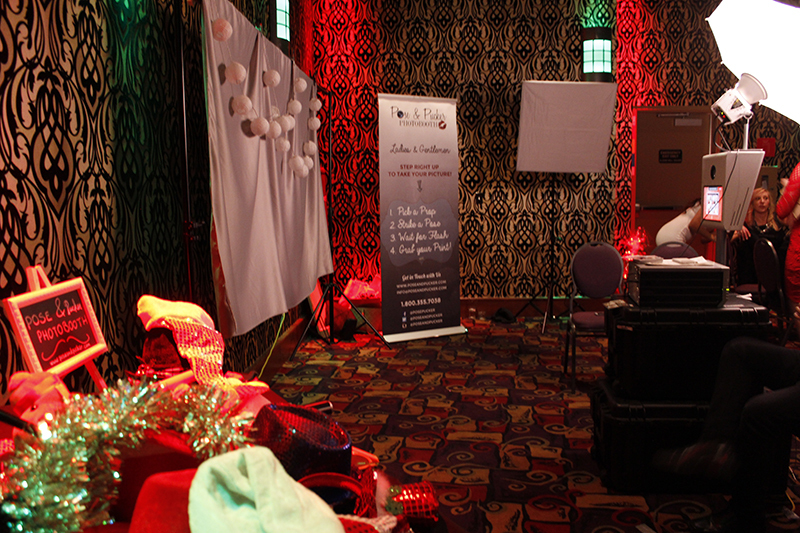 I try to get as many people as I can to participate in the photobooth so that we create a wonderful memory for the people that attend the wedding as well as the clients. 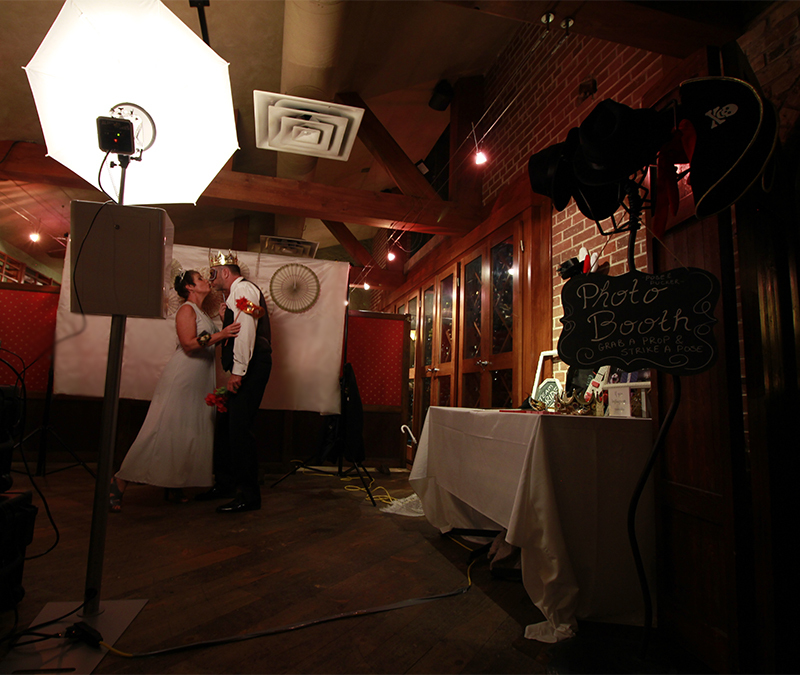 I hope to achieve a successful photobooth experience at every wedding. Making sure to put a smile on everyone’s face. My most memorable wedding was a high school friend’s wedding. I’m not sure how many guests she had, but I predict it was over 500 as she fully booked out the Regency Restaurant in Dragon City Chinatown; it was my wedding to date. The layout was one photo per print, and I was double printing with for a 4 hour booking. I printed over 600 prints on that day alone. We were sitting by the kids table, and the kids took advantage when they saw no line up! We took photos of everyone from ages 1 to 90 and had a great time doing it! No risk, no reward! Without the risk in life, there will be no reward. In my last couple of years in life, I was working a full-time 9-5 job that didn’t bring me the rewards I was looking for. I was great at what I did, but I kept burning myself out because I was working for people that didn’t respect me, and I was working more like 7 to 7 and I was trying to make my side business successful. I feel like my life was unstable and I wasn’t happy. When I took the risk of the photobooth company, I was thinking it would bring me extra cash and bring me closer to people that I care about. In 2015, it was the year that tested my fate and I took this side-business to a full-time opportunity, and so far the reward is far beyond that I could only imagine!